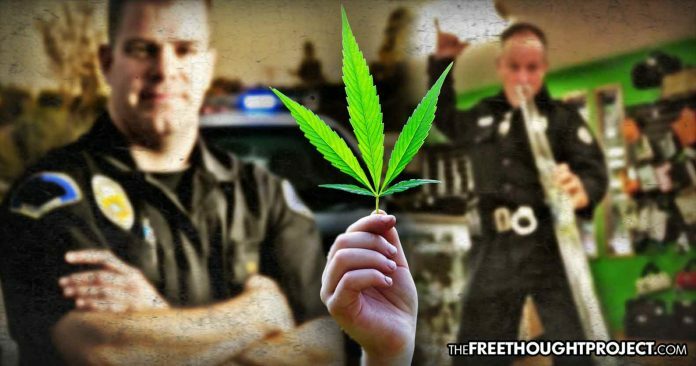 The same substance that was once demonized as a “dangerous drug” is now being accepted in a police department where officials have decided to treat cannabis like alcohol, and they are now allowing their officers to use the plant—as long as they are off-duty. The report from the Vancouver Police Department noted that officers are now expected to treat cannabis in the same way that they would treat alcohol or prescription drugs, which is by not using or consuming it “prior to the start of their shift,” which would affect their performance. The impact that this decision will have in Vancouver could set a precedent for the rest of the nation, and it could inspire local police departments in the United States to do the same. However, because cannabis is still considered a “Schedule I drug” under U.S. federal law, it creates hurdles for departments who want to acknowledge the overwhelming list of benefits from the plant. In fact, regular cannabis use could be helpful to police officers, as it has been shown to help with anxiety and depression, which could help the officers in their everyday lives and could influence the way they interact with the public. Research has also shown that 80 percent of cannabis users prefer cannabis over prescription pills for a number of treatments, which could also help officers because it would keep them from having to deal with the long list of dangerous side effects associated with popular pharmaceutical drugs. Unfortunately, even with support and legalization increasing across the United States, cannabis-related arrests are also on the rise, and recent statistics show that someone is arrested for cannabis in the U.S. every 48 seconds.